Have you ever felt paralyzed to move forward with something? Have you stepped out and had a bad experience and purposed in your heart not to try again? I’ve been there and I think all of us have faced failure to some varying degree in our lives. I’ve learned a few things from my experiences and I want to begin 2016 by becoming a water walker. When we moved to Madagascar in 2014, we asked people to pray for us whenever they heard the song, “Oceans”, by Hillsong since we were in fact moving to the middle of the ocean. The lyrics spoke such life into me during a season where I needed them the most and wrote about it some on my blog here. This song is about the story of Peter walking on water to meet with Jesus. To understand what I mean by becoming a water walker, we’ll need to look at the story of Peter found in Matthew chapter 14. When they added subtitles in the chapters of the Bible, they didn’t title this story “Peter fails and sinks”, “Jesus rebukes Peter’s faith” or even, “Peter walks on water”. It’s titled “Jesus walks on water”. This goes to show this story has very little to do with Peter’s ability to do something and everything to do with Jesus’ empowerment. To Peter’s credit, I love how when Jesus called to Peter that he came. He was wiling to come when everyone else sat in the boat. He went TOWARDS Jesus and AWAY from the boat that confined everyone else. The Bible doesn’t tell us how many steps Peter took on the water before he sank. For all we know he could’ve walked half way across the lake or maybe he only took two steps. I try to put myself in the shoes of Peter because in acting you have to do this to try to understand what motivation your character has for their actions. This story causes me to ask myself all sorts of questions like–Did Peter think that first step was actually going to work? Was he wondering how it would be possible to walk across the water to Jesus? When he realized that he could walk on water, did Peter think it was of his own accord? However many steps he took and whatever questions he might have thought, the Bible is clear that Peter got distracted by the wind surrounding him. When Jesus says,” O you of little faith, why did you doubt?”, I don’t believe it was this harsh disappointment of, “Really Peter?! You failed?! Good job–well now you’re sinking!”. I believe it was more of an empowering rebuke of, “Hey I had you–did you not know that I was keeping you afloat? Why did you doubt me? Why did you move your trust off of me?”. It was a learning lesson not just for Peter, but for the other disciples as well AND a lesson to you and I. 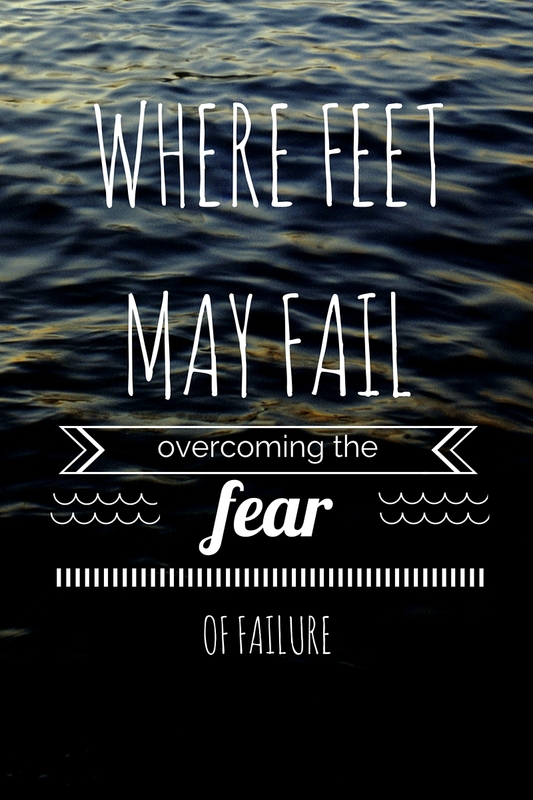 When I let my fear of failure keep me from ever stepping out of the boat, I don’t leave any opportunity for Jesus to sustain me or to catch me when I fall. Peter needed to know that you have to come to the end of your faith in yourself before you’ll ever see the true beginning of what your faith in Jesus will look like. Jesus knew that this moment would prepare Peter for the future. He knew that one day Peter was going to deny Him three times and feel like a total failure. Walking on water was an illustration to show Peter that he was going to do something no one else had ever done because of Jesus’ empowerment. This happened so that when the biggest heartache of his life comes later on from denying Jesus and knowing he died, he would know there was a hope of redemption. Jesus knew that getting Peter to walk on water that it would not only prepare him for other times when his faith would fail, but it also taught Peter to stand in difficult circumstances. He had to learn to rely on Jesus so that he would be prepared for the day when he would lead the church. He learned to step out so that others could follow. The principle I’ve taken away from this is that if I don’t leave my comfort zone, I can’t lead people out of their comfort zones. These are the last words that we have noted where Jesus is speaking directly to Peter. Jesus is talking about Peter’s death here and how he would die in a way that would glorify God by dying on a cross. Jesus uses the words, “you walked where you wished” which reminds me of Peter taking the steps to get OUT from where he was comfortable and walk where only Jesus could sustain him. In Peter letting himself actually feel his feet failing and Jesus catching him, he was prepared for the storms to come. I think so many times we resist the storms because we think we might fail. We get afraid to step into something new because we anticipate a storm might come and we might not be able to do it on our own. Yet if Jesus caught us once like He did with Peter in saving us, then we have the promise that He’ll catch us over and over again. 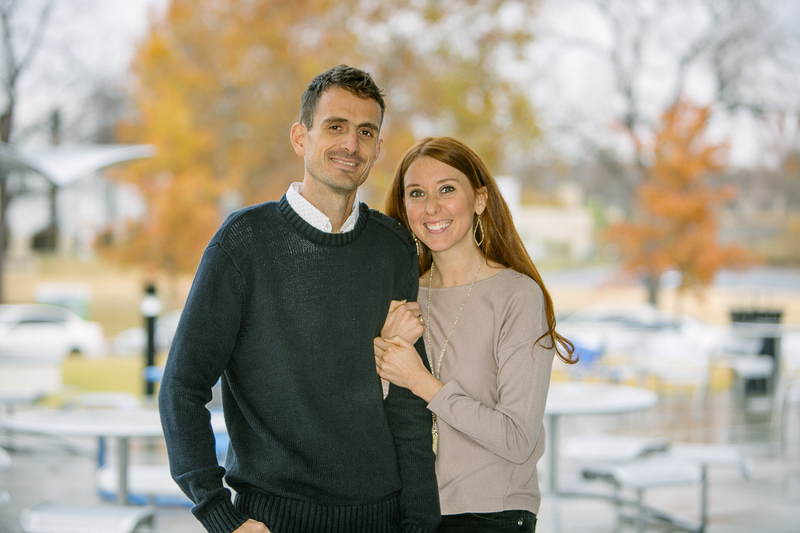 Many know that I have faced significant health challenges since SK and I got married. Far more than we shared on our House Hunters International episode ;) A bad car accident that left me with a compressed vein in my kidney that took two years to diagnose, some nerve damage that thankfully hasn’t been permanent, reoccurring infections and various tropical diseases. Moving to Madagascar where my throat began to close off in the middle of the night while visiting in 2013 was quite a step of faith. Our job required us to go and we felt with what information we had at the time that God was calling us, so off we went. To be honest I was afraid of failing. I was afraid if I took this step and failed that it would be the worst thing ever. Yet even in the chaos of the storms and in the pain, Jesus had me the whole time and has made such beautiful things out of my bold and obedient steps. He can with your steps too. What is it that you need to take another step out of your comfort zone this year? What doubts have held you back? Have you tried to do something in your own strength only to fail? Jesus is ready to catch you my friend and restore your trust in His ability to keep you walking on water! Keep taking steps in this new year of 2016 and purpose to become a water walker!!! Keep trusting and don’t be afraid of failing! What looks like a failure to yourself or to those around you is an opportunity for God’s strength to come in and through your lives. I shared these thoughts in the closing point of a sermon with SK two weeks ago and you can listen on podcast here. This point is from 25 minutes-30 minutes. 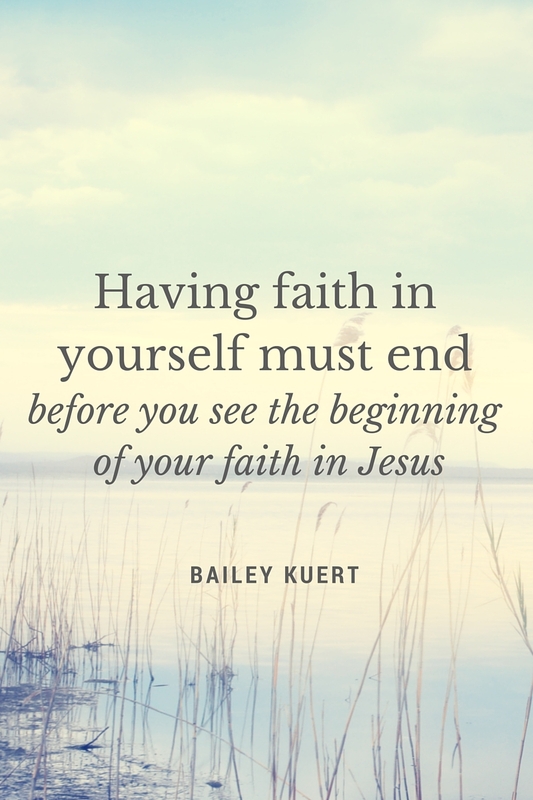 This entry was posted in Kuert Life and tagged assurance, confidence, devo, failure, faith, feet, future, HOPE, jesus, Peter, purpose, risk, storm, trial, walk on water on January 15, 2016 by Bailey Kuert.